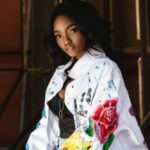 Singer and wife of Adekunle Gold; Simi, has slammed a follower who asked why she doesn’t put on her wedding ring. 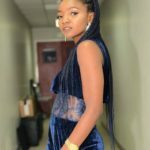 Simi who was in the news over the weekend after she declared that internet fraudsters (Yahoo boys) should stop patronising her music just because the money they use in patronising her is not legally acquired is in the start of the new week is in the news again. And Simi who seemed to be offended as to why people can’t just mind their businesses responded in a way that showed anger. She later showed a little bit of humour going into the response though. 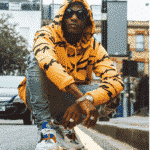 “First of all, why are people nosy? How did you know that i did not do micro-chip wedding ring? 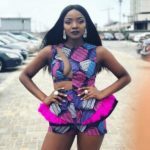 It’s not your business, i wanted to answer but i won’t because it doesn’t concern you,” Simi responded. 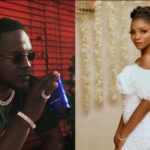 Simi got married to Adekunle Gold in January 2019. 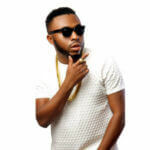 Their wedding was a surprise to many as it was a secret ceremony in an event place in Lagos.